Gender expert Tamara Martseniuk prepared a new interview for the series “Women Human Rights Defenders, Who Change Ukraine“. This time the interviewee is Alla Blaha, an analyst of the Ukrainian Helsinki Human Rights Union. Alla Blaha is an analyst of UHHRU. In 2015, she defended her thesis for the degree of Doctor of Law on “Domestic Violence: Criminological Dimension, Determination, Prevention.” Retired Police Colonel. Research interests are human rights, domestic violence prevention, female crime, crime prevention. She has about 100 publications of scientific and educational nature. 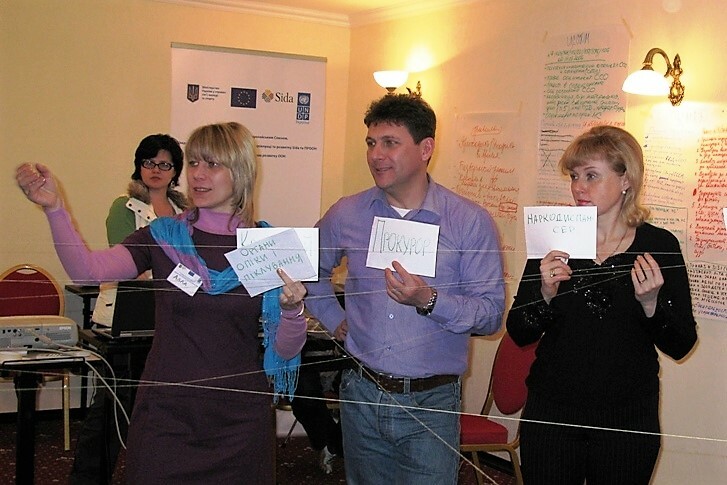 With the support of UNDP and UNICEF, she conducted a number of trainings on gender-based violence prevention, including domestic violence by law enforcement agencies; strengthening the humanitarian response to the needs of the most vulnerable women and adolescent girls in the situation of armed conflict in eastern Ukraine (Poltava, Khmelnytskyi, Kharkiv and Kharkiv region, Zaporizhia, Kyiv). – I began to cooperate with NGOs in the late 1990s – early 2000s. At that time, Ukrainians faced many problems: crisis, massive government corruption, shadow economy, and inflation. This caused a general distrust of the government and low civic activity. Against this background, the initiative was mainly shown by the Kharkiv Human Rights Protection Group (KHRPG) and women’s NGOs, particularly helping individuals whose rights have been violated; legal education; analysis of the situation of human rights in Ukraine; combating human trafficking and domestic violence; struggling for equality of women in the political and business spheres; and protecting children’s rights. 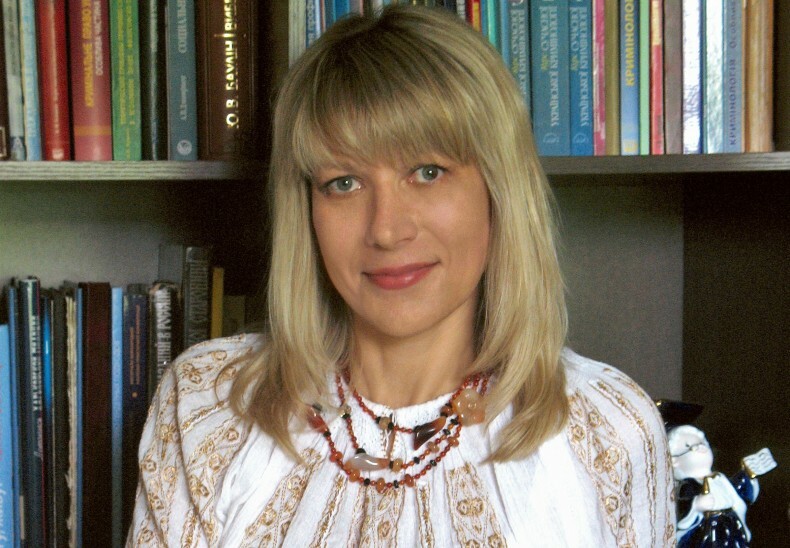 At that time I taught at the Department of Criminal Law and Criminology of the Kharkiv National University of Internal Affairs and worked on the research on criminological problems of female crime in Ukraine. It was also found that the women’s movement can positively affect the re-socialization of women criminals, particularly, to provide crisis psychological and legal advice and advice on employment for those released from prisons, to help in obtaining free confidential assistance to victims of violence, if necessary, provide treatment of alcohol or narcotic addictions, to provide testing for sexually transmitted diseases and AIDS. 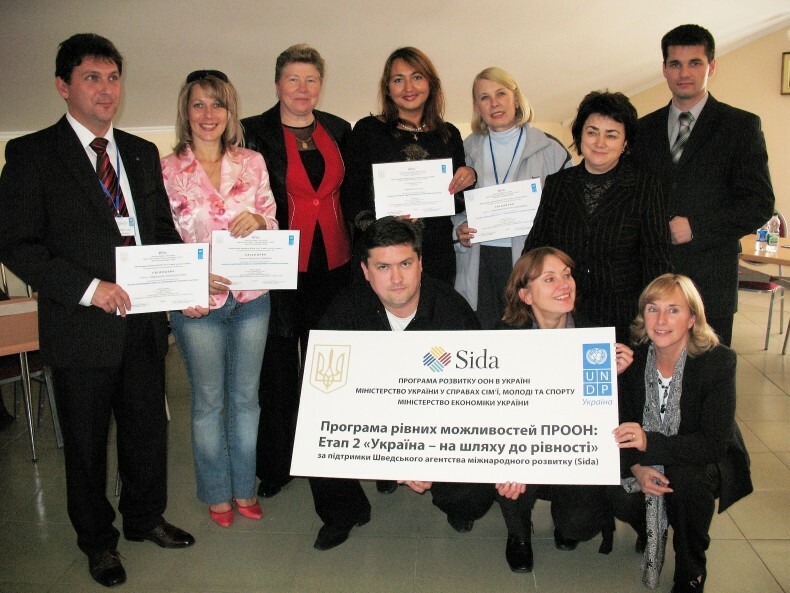 This led to the introduction and further cooperation with many non-governmental women’s organizations and vivid personalities, including Olena Suslova, Kateryna Levchenko, Olha Kovtun, Yevhen Zakharov, the Canadian-Ukrainian Gender Fund, the International Women’s Rights Center “La Strada-Ukraine”, the Women’s Consortium “Winrock International”, the Kharkiv Centre for Women’s Studies, the Kharkiv City NGO “Zhinocha Hromada”, the Kharkiv City Women’s NGO “Nadia”. – Where have you got human rights education and knowledge? – I must say that the Soviet and post-Soviet system of training of lawyers, unfortunately, did not give a holistic view of the fact that human rights are first and should run like a golden thread through all areas of fields of law and be the basis of activities. Although it sounds strange now, but 15-20 years ago, many police officers did not understand that human rights and law enforcement are not the same. That’s why the educational seminars “Police and Human Rights” and “Methods of Human Rights Teaching” became a revelation in November 2005.for many of my colleagues and me. The Helsinki Foundation held the seminars on Human Rights (Warsaw) as part of the Campaign Against Torture. Studies of criminal cases materials on crimes committed by women, the survey of police officers and women-prisoners themselves have shown that in many cases women committed violent crimes, attempting (sometimes, perhaps distorted) to protect themselves or other family members from systematic abuse by the husband or father, adult son and others. Among the coaches who led these seminars were particularly distinguished Slawomir Cybulski, retired Police Colonel from Poland. His important skill was to talk interestingly about difficult things, intelligence, education, life and professional experience, which he generously shared with participants, helped to create in the classroom an atmosphere of openness and easiness of communication. Later, I participated in many seminars, workshops, and conferences related to human rights issues, I held a fairly large number of them, but those two workshops were guiding for me. – Human rights in law enforcement, domestic violence prevention, women’s rights, human rights in the situation of armed conflict in eastern Ukraine. – Women make up 54% of our population. So it seems to me that anyone, who starts dealing with human rights, certainly will face this issue. In particular, studies of materials of criminal cases on crimes committed by women, the survey of police officers and women-prisoners themselves have shown that in many cases women committed violent crimes, attempting (sometimes, perhaps distorted) to protect themselves or other family members from systematic abuse by the husband or father, adult son and others. That’s why the next step for me was to work towards the prevention of domestic violence (participation in the preparation of the scientific and practical commentary to the Law of Ukraine “On Domestic Violence Prevention”, holding training sessions on gender-based violence preventing, including violence in families of law enforcement officers, strengthening the humanitarian response to the needs of the most vulnerable women and adolescent girls in the situation of armed conflict in eastern Ukraine). Research and teaching activities at the police higher education institution pushed me to the issue of gender equality and combating gender discrimination in Ukraine. In the working group established in 2008 by the initiative of an advisor of the Minister of the Interior Kateryna Levchenko and an adviser to the Minister on Human Rights and Gender Oleh Martynenko, I had to participate in the development of the program of gender development of the internal affairs of Ukraine and the program to ensure gender equality in the law enforcement agencies in Ukraine for the period until 2011. Unfortunately, the last five years, leaders of the Ministry of the Interior have no more or less clear action plan in this regard. – Citizens of our country, including children, have become more educated and resolute on defending their rights. Slaves cannot build a free country, only free people. – It faces the same challenges as the whole country – the fighting in the East of our country, corruption, imitation of reforms. – As people say, clean air is never too much. I knew one person (I will not specify the gender), who believed that she/he advocates gender equality and women’s rights, but consistently emphasized the fact that women are not employed in hazardous work, have a shorter working day, a smaller amount of duties and “operated in a mode of reproduction.” So I think that human rights in general and gender problematique in particular need constant and systematic attention’. Generations are changing, and each new generation should be given such knowledge. Today gender advocacy direction successfully is being sucessfully developed by such professionals as Tamara Melnyk, Larysa Kobelianska, Olena Kovaliova, Tamara Martseniuk, Maryna Lehenka, Olha Pishchulina and many others. – Indeed, gender-based violence, unfortunately, still remains the social phenomenon. It has deep historical roots related to the legal provisions ensuring subordinate status of women and children, resulting in the formed stereotype of consumer attitudes towards them, and rejection of non-heterosexual people in mass consciousness. Since gender-based violence is generated by a complex of factors (social, economic, political, legal, socio-cultural, moral, psychological, etc. ), and the impact on them must also be complex. This is due to the effective work of the entire system of gender violence prevention – proper regulatory support of these activities; creating a sufficient number of bodies and institutions entrusted with such work, proper selection of personnel and resources; effective coordination and cooperation between such entities; involvement of local communities and the public. A lot in this direction have already been made through the implementation of a number of projects, cooperation of non-governmental organizations, and local authorities. On this occasion, I can mention such a dedicated human rights activists, scholars, practitioners, as Valentyna Bondarovska, Valerii Bryzhyk, Tetiana Zhuravel, Olena Kochemyrivska, Andrii Labun, Svitlana Pavlysh, Hanna Khrystova and others. However, the issue of combating gender violence in the country remains very far from a complete solution. It is necessary to integrate the principle of gender equality policies that have direct and indirect impacts on the lives of women and men; to improve legal education of the population; to restructure and change gender-role stereotypes and so on. I give just one example: in many countries, men, caring for young children is a sign of masculinity. In Ukraine, until now, the participation of men in the care of young children remains extremely weak. – Confidence that even one person can do much if she/he moves towards her/his goal. Colleges and supporters will be found in this way. This series of interviews is dedicated to activists working in various areas of human rights protection. This year we celebrate the 40-th anniversary of the Ukrainian Helsinki Group, pioneers of Ukrainian human rights movement. UHHRU is its successor. We have developed an in-house policy of gender equality and non-discrimination and strive to make Ukrainian women human rights activist more visible in society.